Join Ontario's Climate Change Action Plan Initiative And Get Rewarded! Ontario’s Climate Change Action Plan (CCAP) is an ongoing, five-year plan that’s designed to help the province effectively fight the realities of climate change. Already recognized as indisputable, climate change and global warming are affecting people and businesses on a day-to-day basis - and for the most part, we are already paying a price. Climate change has had overriding negative effects: the environment is damaged; weather events are often extreme; and food-growing regions have experienced problems. The fact is, Ontarians can make a difference - by reducing pollution and developing a low-carbon economy. But beyond that, there are also economic benefits and paybacks. As it is, Ontario is very well positioned to provide low-carbon goods and services throughout the world. The province has highly skilled workers; a richness of natural resources; competitive tax laws; and a sound economy with a stable banking system. In short, Ontario can lead the way with clean technology solutions to mitigate climate change. For Ontarians (businesses and individuals), CCAP is about providing the tools to become far more energy-efficient than at present, and to therefore accelerate the move to a low-carbon world. This does not mean giving up on natural gas to heat the home or sacrificing the use of a gas-powered vehicle. What it does do is create options and choices. The essence of CCAP is to establish a foundation for homeowners and businesses to make serious changes, thus decreasing greenhouse gas emissions and measurably reducing carbon footprints. Working directly with homeowners and businesses, Great Northern Insulation provides a range of products and services designed to improve energy efficiency. While every contribution to the environment will vary, the idea is to reduce personal carbon footprints, as well as decreasing greenhouse gas emissions. And since everyone is affected, everyone must play an integral role. Today, everyone consumes energy, whether it’s gas, oil, or electricity. 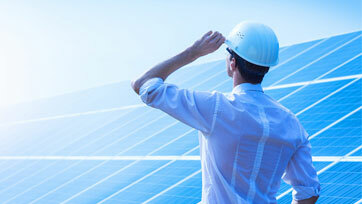 And with energy costs on the rise, improved energy efficiency makes abundant economic sense. Optimum energy efficiency means less energy consumed and less energy dollars spent. For Great Northern Insulation, it’s all about effectively sealing the building structure, and strategically insulating to prevent heat loss. GNI specializes in air sealing, weatherization, and insulation. Simply put, GNI creates a building envelope that is airtight and insulated, delivering energy efficiency throughout the seasons, and allowing homeowners (and business owners) to save substantial dollars on utility costs. Creating that efficient building envelope will make a meaningful contribution to the carbon footprint. Great Northern Insulation offers a host of high-performance products and installations that will deliver quantifiable results. From energy audits, to weatherization, to spray foam insulation, the focus is on reducing energy usage. But more importantly, GNI provides retrofits and upgrades with viable returns-on-investment that make project costs well worthwhile over the long term. By understanding the fundamentals of energy use, homeowners and business owners can make well-informed choices, all in an effort to change behavior patterns. To this end, Ontario is setting the stage for a whole new approach to home energy audits. Already widely available, these home energy audits will be required prior to selling a new or existing single-family residential home. More importantly, once the energy audit is complete, the actual audit “rating” will have to be part of the real estate listing description. The intention is to provide these audits free of charge. The Home Energy Rating and Disclosure Program will allow prospective homebuyers to authentically compare homes using their respective energy “ratings”. The program is set to launch in 2019. The HERD Program is also designed to boost interest in many of the retrofit incentive programs available today. As well, the objective is to entice homeowners and business owners to get a head start with an energy audit, and with the upgrades and retrofits that qualify. Indeed, for individual homeowners, it may be attractive to create “demand” for their home with a defined “rating”. 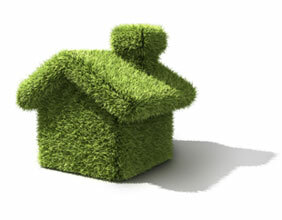 Near Net Zero Carbon Home Incentives are specifically designed to help residential homeowners reduce carbon footprints. Qualifying rebates will be advanced to individuals who either purchase or newly build a Near Net Zero Carbon home. This would mean a home with a performance level of energy efficiency that satisfactorily exceeds the requirements of Canada’s Building Code. The principal idea behind this incentive program is to reduce the high, up-front cost of energy upgrades for the average homebuyer. As well, in the new construction segment, the program will inspire the construction of very high-efficiency homes that have a far less damaging effect on the environment as a whole – they will pollute less and will have a reduced carbon footprint. From air sealing, to weatherizing, to high performance insulation, the experts at Great Northern Insulation offer customers the highest quality products, along with superior installation services. Clients across the province can rest assured of 100% satisfaction with every project – that means a Money Back Warranty and a Manufacturer’s Product Warranty to back up the commitment. 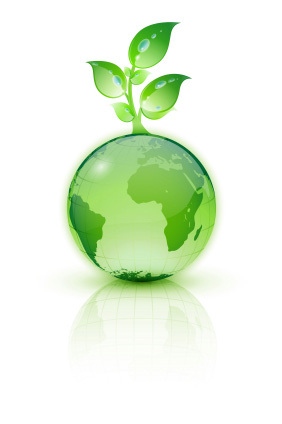 GNI strives for customer service excellence with a commitment to satisfy home insulation needs with efficiency. Technical Service Representatives set up a FREE in-home assessment, after which a team of trained and experienced installers provides professional installation. As the nation’s largest full-service insulation contractor, GNI has earned a reputation for integrity. While engaged in Ontario’s Climate Change Action Plan, GNI is fully committed to environmental legislation, government regulations, and national building codes. As a company, Great Northern Insulation is dedicated to preventing environmental harm – and it’s accomplished by employing best construction and management practices on every project, whether large and small.